Maybe you’ve read reports that student loan debt is rising rapidly or maybe you’ve watched anxiously as the balance of your own student loans mounted while you were in college. Either way, you know student debt is a problem, but what you might not know is the size of that problem. In the US, there is currently a whopping $1.52 trillion in student debt shared amongst 45 million borrowers. That’s a lot of debt and, unsurprisingly, it’s causing borrowers a significant amount of stress. I know this first hand. I borrowed over $50,000 in student loan debt to attend the University of Delaware to get a degree in Finance. In early 2016, our company LendEDU launched a $200 monthly student loan repayment benefit. And, over the last three years LendEDU has paid $7,200 directly towards my student loan debt. When I combined this employer benefit with the lower interest rate I received after refinancing student loans, I was able to pay down my debt by about $20,000 over the last three years! Repaying student debt is a struggle and it’s one that adds stress to my life and to the lives of many of my employees. In fact, according to a recent Buried in Debt study, around 85% of borrowers say student debt is a major stress and one in three say it is the biggest stress in their life. The same study found that around nine out of every ten borrowers are struggling to make payments on their debt. Student loan stress doesn’t just affect my staff’s mental health—it also potentially affects their work performance as they’re more distracted, have less energy, and might not be sleeping as well. At LendEDU, we didn’t want that to happen and that’s part of the reason why we launched a student loan repayment benefits program in early 2016. Our program provides employees and the founders of our company $2,400 per year or $200 per month towards their student loans. With the average borrower graduating with over $28,000 in student debt, these benefits help ease the stress of student loan repayment for our staff. Our student loan repayment program doesn’t have any caps or limits for employees! While student loan repayment assistance programs help our staff reduce their financial stress and repay their loans more quickly, they are also a boon for recruitment. Multiple studies have shown that millennial workers want student loan repayment benefits from an employer. In a survey conducted by SoFi, 95% of workers under 30 said that they would be more likely to accept a job offer if it came with student loan repayment benefits. Since millennials are so concerned about their student debt, they often even prioritize these benefits over 401(k) benefits since student debt assistance will have a more tangible effect on their immediate financial lives. Given that there is currently an extremely low unemployment rate, if you want to win the war for talent it’s important that your company’s compensation packages are as attractive as possible to potential employees. This is particularly important if you run a start-up like I do since many competitors offer exciting benefits and perks to get the best talent to join their teams. In industries where having the right talent can make the difference between success and failure, this is particularly crucial. There are a number of creative ways to use student loan repayment benefits to attract and retain your employees. Some companies offer repayment benefits as a signing bonus and other offer a lump sum repayment amount for employees who stay around for a certain number of years as a retention bonus. 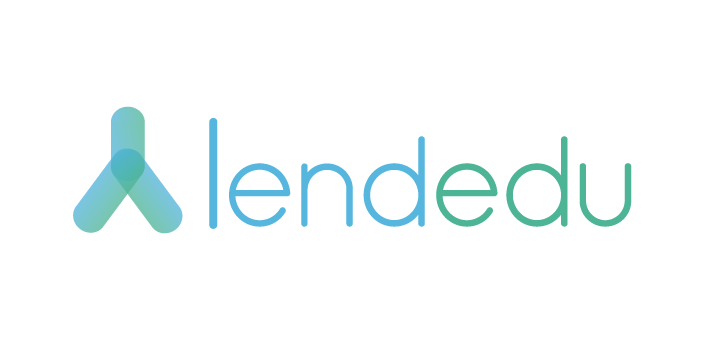 When we first started LendEDU, we wanted to offer student loan repayment benefits, but there wasn’t a company who was facilitating that for start-ups like us. In my opinion, Goodly was the first platform to allow small start-ups to offer monthly contributions towards their staff members’ and founders’ student debt through their payroll. Their system is easy to use and fully automated. All we had to do was set it up to integrate it with our payroll system and Goodly takes it from there. It’s also extremely affordable – at only $6 per employee per month. Before Goodly, we had been writing paper checks to the servicers directly! What I love most about offering student loan repayment benefits, is that I get to watch my colleagues get out from under the burden of student debt. As a millennial CEO who’s also struggling with student debt, that’s incredibly satisfying.